Cabinets supplied assembled - doors loose. Popular raised centre style but now provided in refreshing Red Alder. 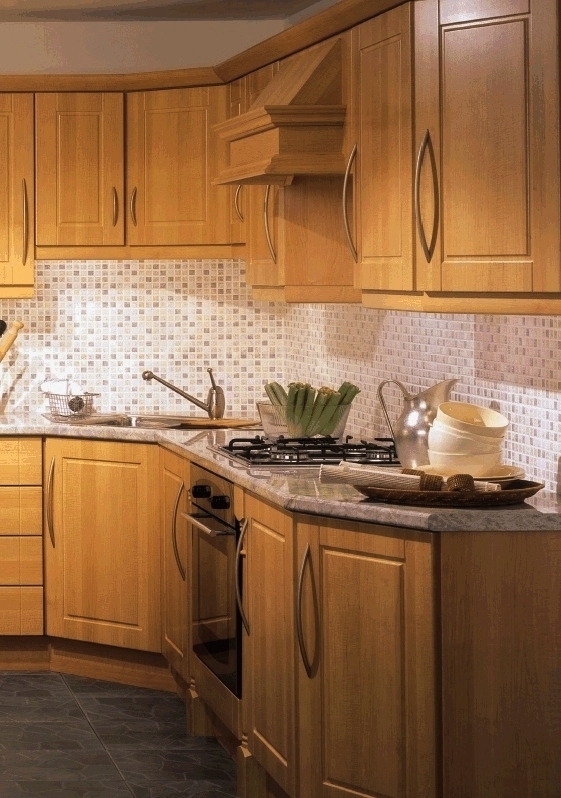 A value kitchen for a tight budget.